The game allows players to create a team of super heroes and take them into three-on-three turn-based battles. 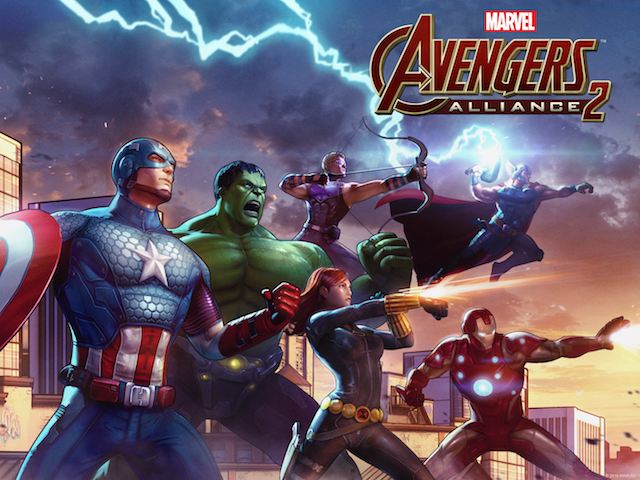 Disney Interactive and Marvel Entertainment have announced the launch of Marvel: Avengers Alliance 2 on iOS and Android. The sequel to the original Marvel: Avengers Alliance allows players to create a team of super heroes featuring the Avengers, Daredevil, Guardians of the Galaxy, Spider-Man and more to battle against Ultron, Baron Strucker and other Marvel villains. In Marvel: Avengers Alliance 2, players compete against enemies in three-on-three turn-based battles. Each hero has their own abilities or attacks players can trigger on each turn, and gamers can unlock additional abilities for their heroes over time. Heroes earn experience points after each battle, and will become stronger as they level up. Players can also use the unstable Iso-8 items they collect to give their heroes extra experience points. Finally, once heroes reach level 10, players can equip them with Iso-8 crystals, which improve their stats. Crystals are parts of sets, and if players equip a single hero with en entire set of crystals, the hero will receive an additional bonus. Gamers can recruit new heroes for their team by spending Power Cells to summon random heroes. Players will receive some free Power Cells as they play. The game’s summoning system may also reward players with new abilities for their existing heroes, which can be equipped on each hero’s profile. To be specific, each hero can have a limited number of active abilities, so players can switch between these abilities to customize their gameplay. In addition to the game’s story-based missions, players can complete Spec Op and Daily Op missions, and compete against other users in player-vs-player tournaments. We’re very very passionate about the Marvel franchise, and we’re passionate about RPGs, and I think that we’ve done a really great job bringing the successful formulas of the Marvel: Avengers Alliance franchise—like the three-on-three turn-based combat—and applied that to a game that feels really fresh and has enough new to it that really makes it feel like a great new experience on mobile platforms. Marvel: Avengers Alliance 2 is available to download for free on the iTunes App Store, Google Play, Amazon Appstore and Windows Phone Store.